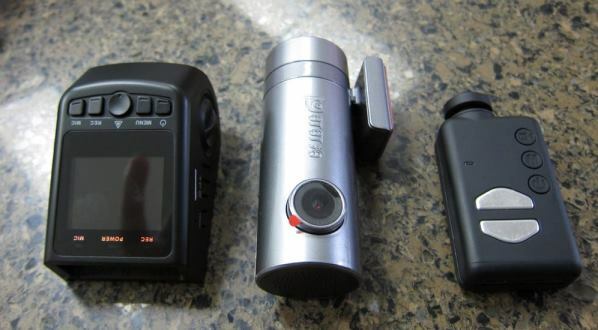 The Mini 2 is cylindrical dash cam from the Chinese manufacturer DDPai. This camera has nearly identical specifications as the popular DDPai M6 Plus but there are some key differences. The DDPai Mini 2 is based on the same HiSilicon Hi3516D processor and Omnivision OV4689 CMOS sensor as the M6 Plus. This combination allows for 1440p at 25fps, 1296p at 30fps or 1080p at 30fps recording. Bit rate is not the highest at approximately 10.5Mbps. Video quality during the day is very good and at night it is good. Like the M6 Plus, owners are quite pleased with the video quality from this camera. While the night time video is bright, the footage is more grainy / noisy then competing cameras like the A119. The camera comes with WiFi and G-Sensor but no LCD screen. A small remote button is provided as well. When pressing the remote button, the camera will save a 10 second clip (5 seconds before the incident and 5 seconds after) and sends this video to your smartphone automatically via WiFi. Note that downloading the video clips via WiFi to your phone will save the files on the phone’s internal memory not on a phone’s SD card if available. Like the M6 Plus, the Mini 2 comes with time-lapse parking mode which records 1 fps while the car is parked. In parking mode the camera records at 20Mbps and draws approximately the same amount of power as if the camera was operating normally. There have been some complaints that the camera runs hot during parking mode. Overall some advantages over the M6 Plus but also some disadvantages. We would like to thank our members Yooshaw and runtohell121 for providing detailed reviews of this camera in our forum. Like the M6 Plus, you can connect the Mini 2 with the Mini 1 via WiFI to work as a dual camera system. (NOTE: The Mini 2 or another M6 Plus will NOT work as a dual camera system – apparently you cannot have 2 cameras with the same processor for this to work). This essentially creates a wireless dual camera set-up. You can pair the cameras by putting the remotes next to each other and clicking both 5 times. Our member Yooshaw provided the following photo comparing the size of the SG9665GC (left), DDpai Mini 2 (middle) and Mobius (right). 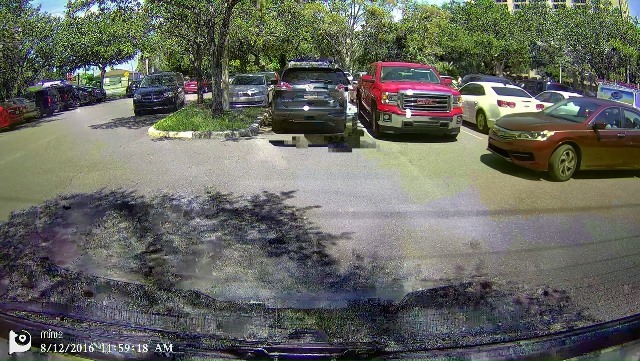 Some owners have complained that the camera records blocky video when in parking mode. This typically happens in hotter temperatures and when recording at 1440p. There is no known solution to this problem. Some owners indicate that the camera will occasionally reboot while driving or in parking mode. One possible reason is that when the camera overheats, it restarts. No known solutions exist for this problem. 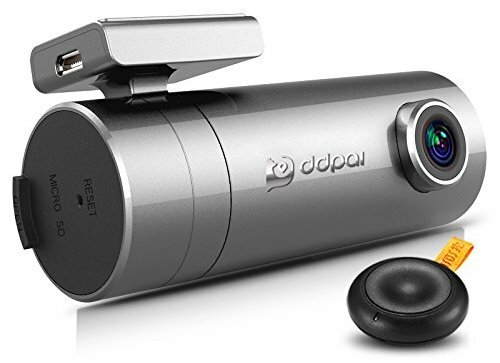 The DDPai Mini 2 has similar specs and video quality to the popular DDPai M6 Plus but with a cylindrical shape, no GPS and capacitor instead of battery. At the lower price point of approximately $100, the camera at first site appears to be a reasonable buy. However, initial reliability is a bit concerning especially if you are looking to use this camera in a hot climate. See what other owners have to say about the DDPai Mini 2 on our forum. Final Word Video quality is good but initial reliability is a concern if you are using this in a hot climate.